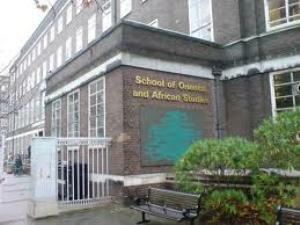 SOAS, University of London is inviting applications for Masters Scholarship for South African Students in April 2019. The Scholarship is awarded by ‘The Estate of Anne Steyn’ to provide a student bursary to a Black South African student who is aspiring to become or already are musician or artist, in order to assist them to become a qualified person in their chosen profession. The Anne Steyn Music Scholarship will be awarded to black students who are ordinarily residents in South Africa and have received an offer of admission to pursue one of the following eligible Masters Program at SOAS. SOAS University of London is the leading Higher Education institution in Europe specializing in the study of Asia, Africa and the near and Middle East. SOAS is a remarkable institution. With our vast repository of knowledge and expertise on our specialist regions, we are uniquely placed to inform and shape current thinking about the economic, political, cultural, security and religious challenges of our world. • Study Subject: Scholarships are awarded to study in Music. • Scholarship Award: The total value of the scholarship is £15,446. • Eligible Countries: The scholarship is available for South African citizens. • While it is not essential, it is preferable if the applicant’s degree program of study includes performance as an important component. • Applicants must meet the English language condition of their offer of admission to study at SOAS as soon as possible but no later than 1 June 2019. If your offer is conditional on English, please arrange your English test and ensure you meet the English requirements as soon as possible. • English Language Requirements: In order to ensure that SOAS students have a sufficient standard of English to study effectively, we require overseas students to submit evidence, during the application process, of their current level of proficiency. Applicants must have an offer of admission to a degree program at SOAS by the scholarship application deadline. It is recommended to apply for the program about six weeks before the scholarships deadline (that is, by 18 February 2019). A complete application for admission includes transcripts, an explanation of the grading system for any degrees obtained outside of the UK, two references, CV and a personal statement. The panel will be considering your scholarship application together with your online application for admission. Please note that complete applications for admission can take up to 4 weeks to be considered by the Department, although this duration can vary depending on the time of year. You should be prepared to wait up to 6 weeks in busy periods. • STEP 2: Apply for the scholarship by 16:00 (UK local time) on 01 April 2019.